This two day soul retrieval Transpersonal Chakra Kinesiology course enlightens your path as we explore the six Transpersonal Chakras – Earth Star, Causal, Soul Star, Stellar Gateway, Universal and Divine Gateway. These extraordinary chakras connect you from the deepest roots and core of the Earth and your genetics, DNA and ancestors through to your Soul energy, blueprint, universal connection and the highest Divine source possible. Balancing these chakras brings lessons, genetic history and karmic patterns to the surface while activating soul acceptance, enlightenment, awareness, connection, unity and your spiritual truth and purpose. Presented by its developer, Denise Robinson, this unique new and exciting eye-opening spiritual chakra course provides insight into looking at the Transpersonal Chakras and our energy system from a more spiritual higher perspective. Discover how to open up the doorways to your unlimited self to create a feeling of oneness through all areas of your life. Illuminate your soul and surrender to the flow of all consciousness beyond matter whilst exploring the universal energy of the stars, sun, moon, planets, galaxy and other realms! 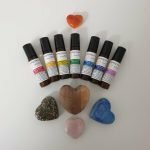 Marvel at how incredible it is to connect to your Soul on all levels, raise awareness, shift energy and balance our fascinating chakra energy system. Delve deep into the lesser known Transpersonal Chakras including their Colour, Energy, Prana, Aura, Purpose, Embrace, Spiritual Lesson, Activation and Connections. Allow yourself to let go of the physical, tune into the higher realms and connect to something far greater than you. 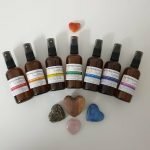 Learn practical easy to use tools and techniques to understand and integrate all the facets of the Transpersonal Chakras through the use of crystals, essential oils, affirmations, sound, colour, figure 8’s, spiral energy, spiritual practices, Nature’s Healing Chi and so much more! A clear, detailed, comprehensive and easy to use step-by-step 100+ page colour manual accompanies this course. Transpersonal Chakra Kinesiology allows you to go on an inward journey to the depths on your soul and channel your higher self through the guidance of the universe and anchor it into your life. The location, chakra mode testing position, colour, energy, prana, aura, purpose, embrace, spiritual lesson, activation and connection of the 6 Transpersonal Chakras – Earth Star, Causal, Soul Star, Stellar Gateway, Universal, Divine Gateway. Willingness, Connection Points, Universe Connection, Surrogacy and Goal Setting. To purchase any of our beautiful heart-centred products used in our inspiring Transpersonal Chakra Kinesiology course which include our Transpersonal Chakra Kinesiology Training Manual, Chakra Emotions Chart, Chakra Balancing Sprays, Chakra Balancing Oils, Crystal Reference Chart, Essential Oil Chart, Colour Therapy Chart or Clearing Spray please click on the highlighted words or icons below to be directed to the shop.